Fair warning: I will not hold back on any plot details in this. 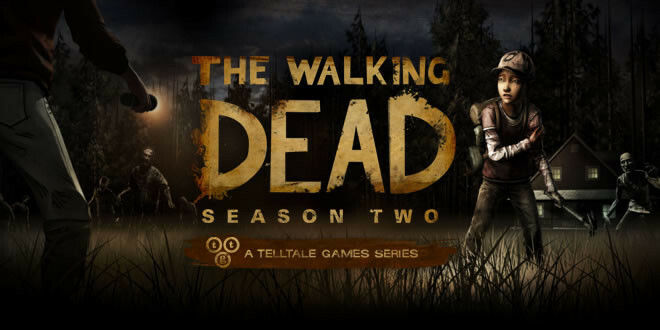 The first season of Telltale’s adaptation of The Walking Dead is among the most praised video games of the past decade. Its focus on character relationships in a ruined world, and dialogue meant chiefly to develop those relationships, earned it acclaim despite it otherwise basically being another episodic Telltale adventure game. Though it has its flaws, it succeeds where so many games fail: having an emotional core that is rich and deeply human. Rather than focusing on the tired trope of “humans are the real monsters,” it instead focuses on humans’ capacity to be good despite having done wrong and having been wronged. More importantly, it does this very damn well, by having a clear and consistent focus on the paternal bond that forms between the two main characters, Lee and Clementine. For once, the larger themes of the game arise naturally from the human story at its core. The second season looked to continue from where the last one ended, with Lee dead and the player the role of Clementine. This seemed like a natural choice: to continue with one of the core characters from the last season, with all the improved graphics and fine-tuned gameplay mechanics one can expect in a sequel. So, why is the prevailing response to it so much less positive than for the first season? I’d say, more than anything, it was the second’s lack of coherence. With Lee unambiguously dead, Season 2 needed a new narrative element to match the first season’s focus on fatherhood and the larger elements of humanity that stood for. That, after all, is what made the whole of Season 1 and especially its ending so impressive. And this is where Season 2 fails. It still has the character drama to underscore the ’in survival, no one is the good guy’, the mundane character interactions to make the experience grounded, the swift action sequences with split-second choices to leave you stunned as the credits roll - but in the end, the game ends up being about not much of anything besides petty character conflicts and the increasingly tiresome challenges the main character has to face (as a 12 year old, surrounded by adults, in a zombie apocalypse). Seasons 2 is darker than Season 1. Sadly, it is also dafter. It was not supposed to be that way. Like any good mainstream release, the game’s marketing told you what it was supposed to be about, with the mandatory hashtag properly attached: “Your choices will decide Clem’s fate. Who will YOU become? #MyClementine.” The comfortable, ever so easy video game “Who will YOU become” question - will you become a basically normal person with superhuman survival/killing skills or a ruthless stone-cold killer with superhuman survival/killing skills? Except, it is not even about that much. Spots here and there seem to think it is about that, sure, but other spots veer into being about brutish patriarchal masculinity and yet others are about dealing with the loss of loved one. Mostly though, it is about characters arguing for silly reasons and zombies coming out of nowhere so there is conflict. Its disparate notes don’t come together to be about anything bigger – it is not coherent. A personal anecdote: at the mid-point of the season, I was excited – I thought, wow, there are multiple weak characters in this game interactions with whom the game may subtly show my true attitude to “the strong deserve to survive” philosophy of the season’s main antagonist (my stated attitude being disagreement). Nope. One character gets a weak redemptive-death ending that meekly points to the game being about masculinity and patriarchy, and the other gets an even more unceremonious death that robs her existence of any meaning. That’s the case with a lot of the season, really – drama for the sake of drama or action for the sake of action, meaning nothing for any larger arc or theme. The ending is at least appropriate; it, too, has no meaningful connection to any overarching theme of the season and instead is just dramatic and loud and violent and contrived. The term ludonarrative dissonance, meaning a game’s mechanics conveying a different message from its narrative, has become quite popular in writing about games. As well it should have, it being an important idea for the medium. But, I feel that most games still suffer the more basic and non-medium specific problem of lacking coherence. They exist to give the player some excitement and fun and maybe even a story, but those elements taken together just make a dissonant jagged mess. This often happens even when games desperately try to be about something – see Bioshock Infinite, GTA IV, GTA V (probably), Assassin’s Creed 3, Watch Dogs, and so on. Which is understandable, really – mainstream game production has taken after Hollywood, with games being made more often because they are good products than because they are good ideas. But, sometimes a game like The Walking Dead Season 1 comes along, and shows that games can be coherently about something, and be smart, elegant, and heartfelt in doing so. Season 2 failed to do that, and filled that void with the sound and fury so typical of video games. Telltale’s other series, The Wolf Among Us, had significant pacing issues but was at least much more ambitious and interesting in what it strived to be about, and I think that deserved praise. Until that happens, until more Polygon-style criticism arises and places emphasis on the larger significance and coherence of video games, they will continue to feign ambition in the form of this-is-about-this-cool-thing-except-not-really-it’s-just-a-game.